This online collection offers important historical perspectives on the science and public policy of epidemiology today and contributes to the understanding of the global, social–history, and public–policy implications of diseases. 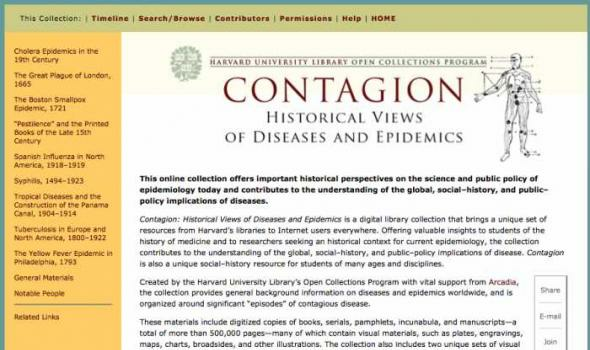 Contagion: Historical Views of Diseases and Epidemics is a digital library collection that brings a unique set of resources from Harvard’s libraries to Internet users everywhere. Offering valuable insights to students of the history of medicine and to researchers seeking an historical context for current epidemiology, the collection contributes to the understanding of the global, social–history, and public–policy implications of disease. Contagion is also a unique social–history resource for students of many ages and disciplines. 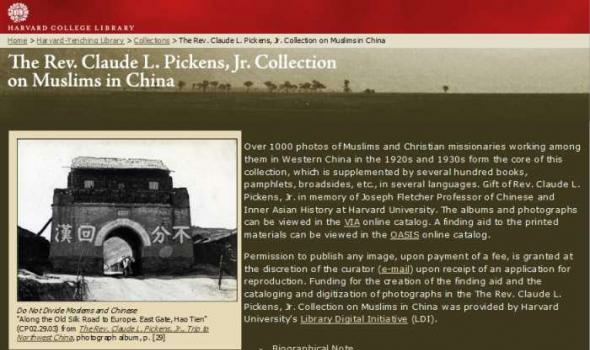 Created by the Harvard University Library’s Open Collections Program with vital support from Arcadia , the collection provides general background information on diseases and epidemics worldwide, and is organized around significant “episodes” of contagious disease. These materials include digitized copies of books, serials, pamphlets, incunabula, and manuscripts—a total of more than 500,000 pages—many of which contain visual materials, such as plates, engravings, maps, charts, broadsides, and other illustrations. The collection also includes two unique sets of visual materials from the Center for the History of Medicine at Harvard’s Francis A. Countway Library of Medicine. 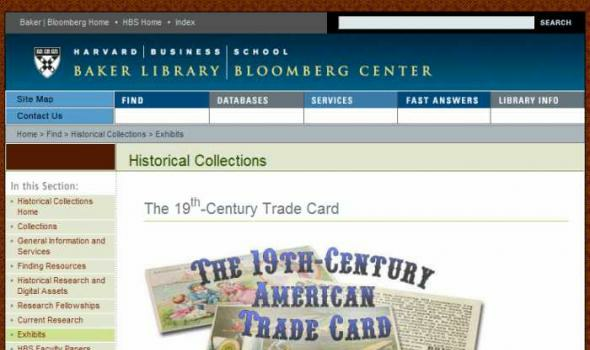 Library materials and archival materials are supplemented by explanatory pages that introduce concepts related to diseases and epidemics, historical approaches to medicine, and notable men and women.